Sri Krishna Sweets had arranged for a function at the Kamaraj Arangam in Chennai to felicitate the mothers of AR Rahman and Shankar. The event began at 6 pm and was attended by a host of celebrities. The function was held to honor the mothers that were instrumental in making their children world famous. 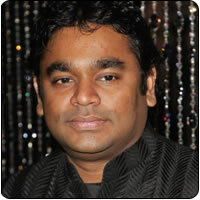 Rahman’s mother Kareema Begum, Shankar’s mother Muthu Lakshmi and Kamala Theatre owner Nagu Chidambaram’s mother Kamala Chidambaram were honored during the event.